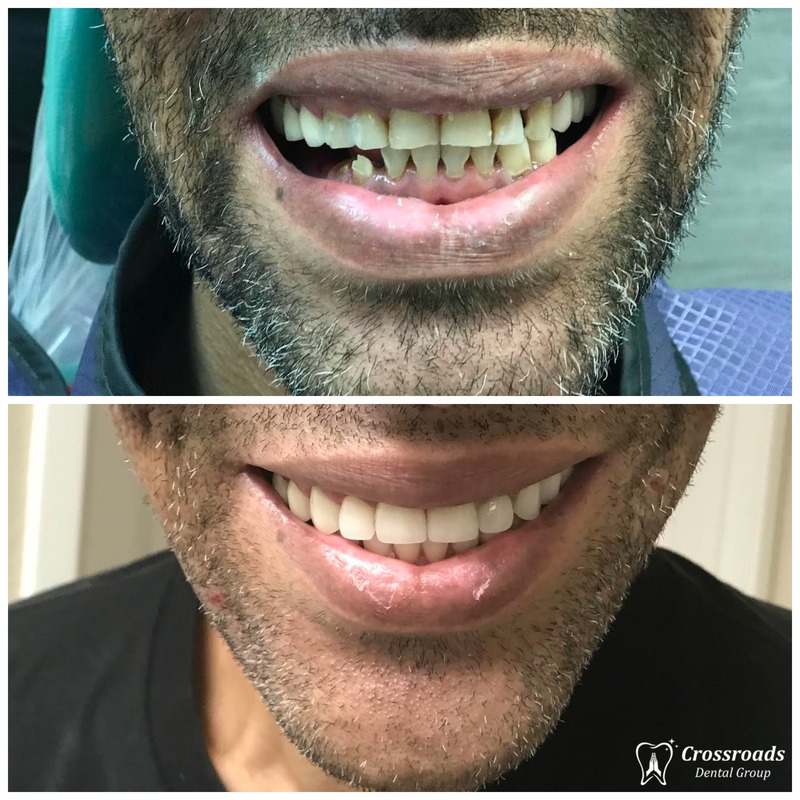 VENEER EXPERTISE: Dr. Shrestha is an expert veneers dentist, having performed thousands of veneer placements to restore damaged teeth or transform smiles into something beautiful. 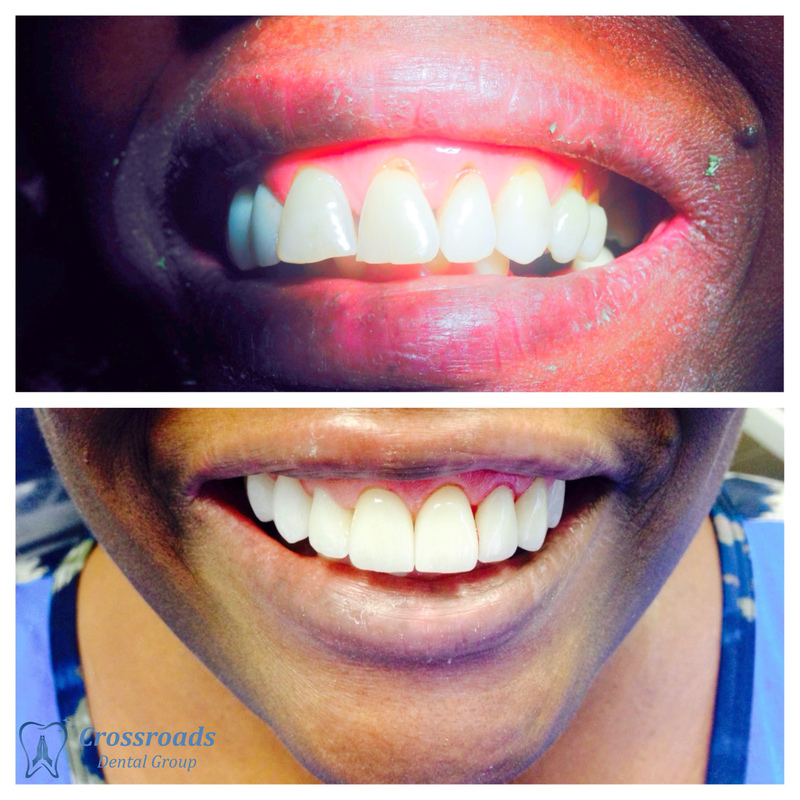 At Crossroads Dental Group we treat patients with a variety of dental concerns, whether you are looking to repair a broken tooth or create a Hollywood smile, we are your compassionate source for amazing Veneer dentistry. 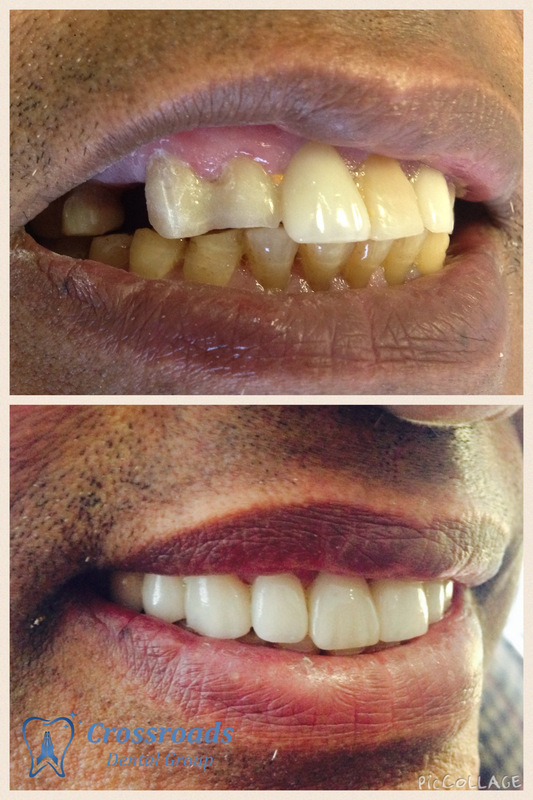 To get fantastic veneer results, you need an incredible dentist. 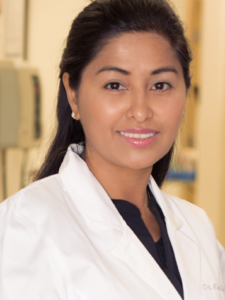 Dr. Shrestha is that incredible dentist. 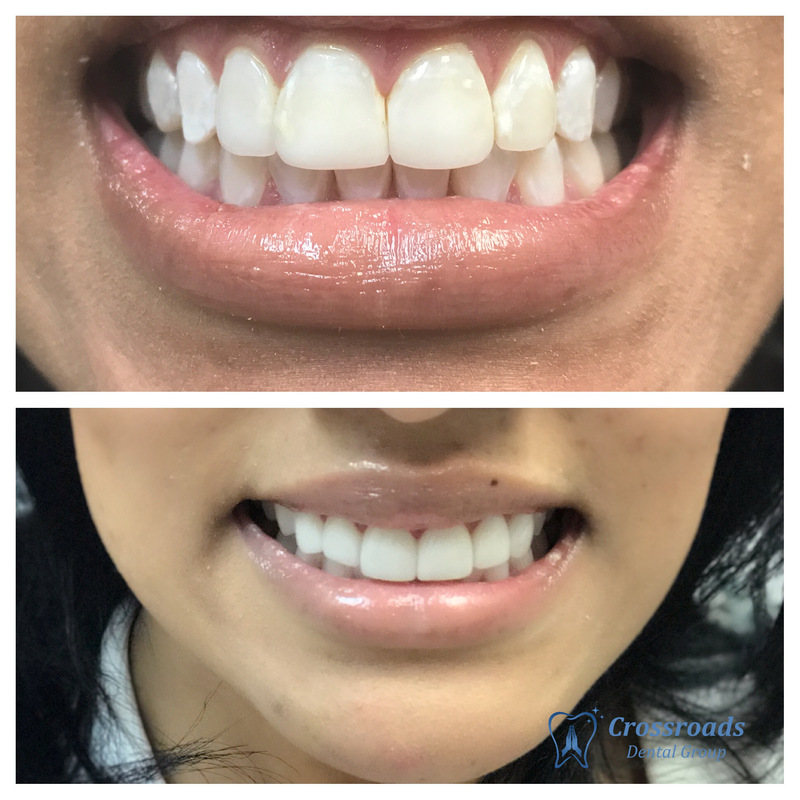 RESTORATIVE VENEERS ARE A PERFECT OPTION TO CORRECT YOUR TEETH’S IMPERFECTIONS LIKE GAPS, CHIPS, STAINS, OR MISSHAPEN TEETH. 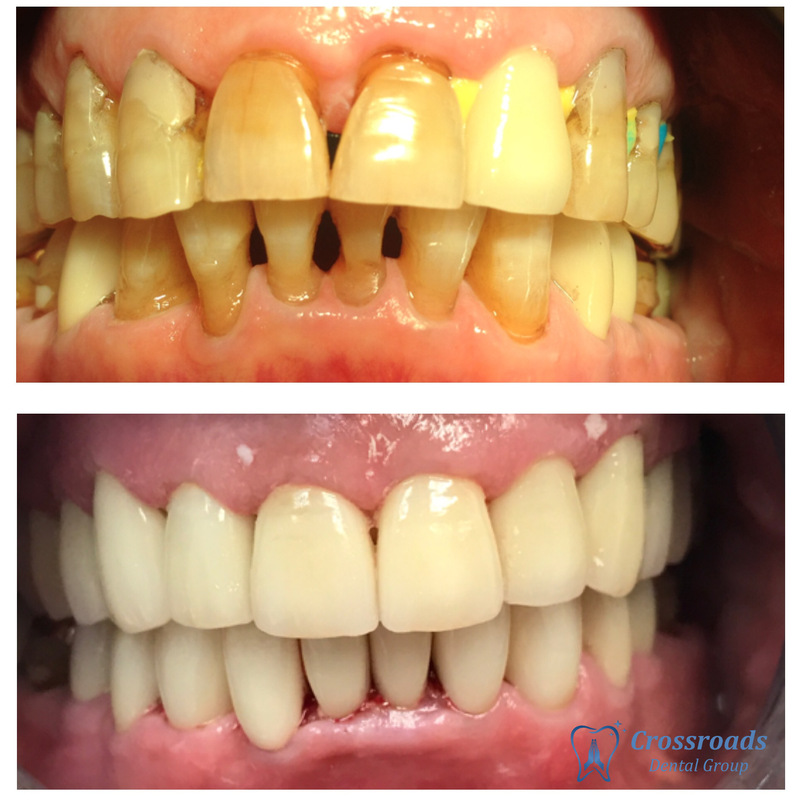 A veneer improves the appearance of a tooth by covering the visible front surface with a custom-made, tooth-colored porcelain overlay. 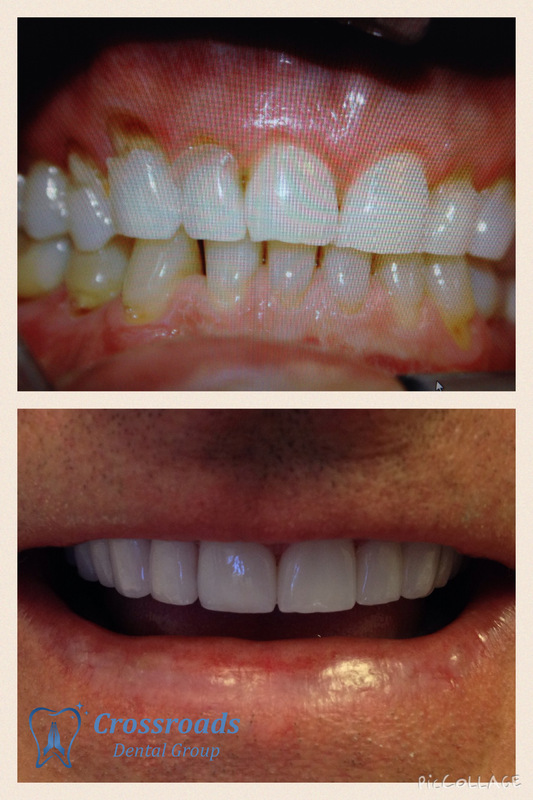 With proper care and good oral hygiene, a veneer has a lifespan of 5-10 years. 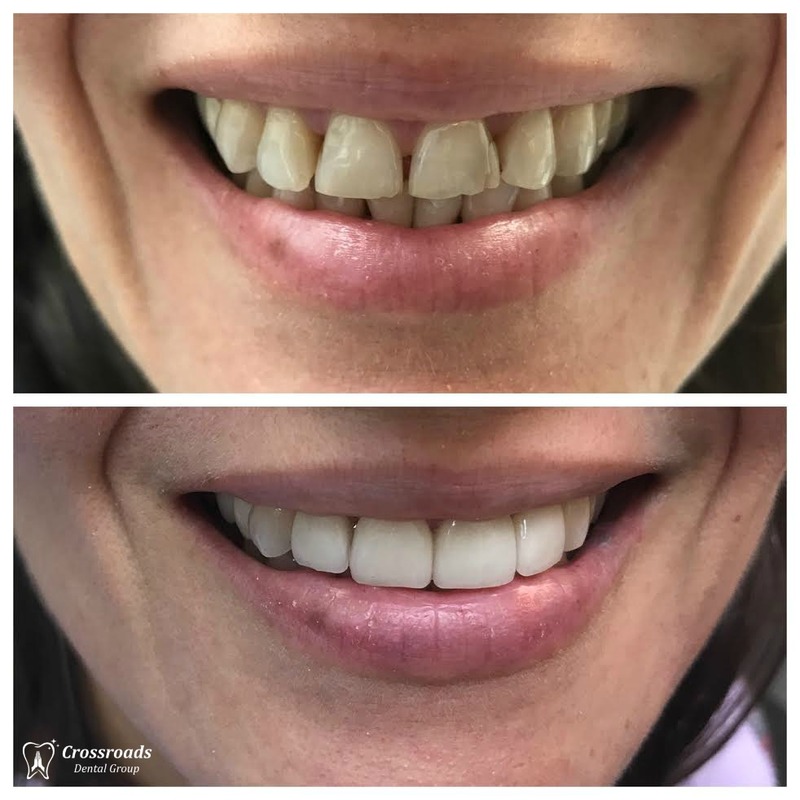 Veneers are natural in appearance and are great for patients wanting to make improvements to the overall appearance of their smile and preserve healthy tooth structure. 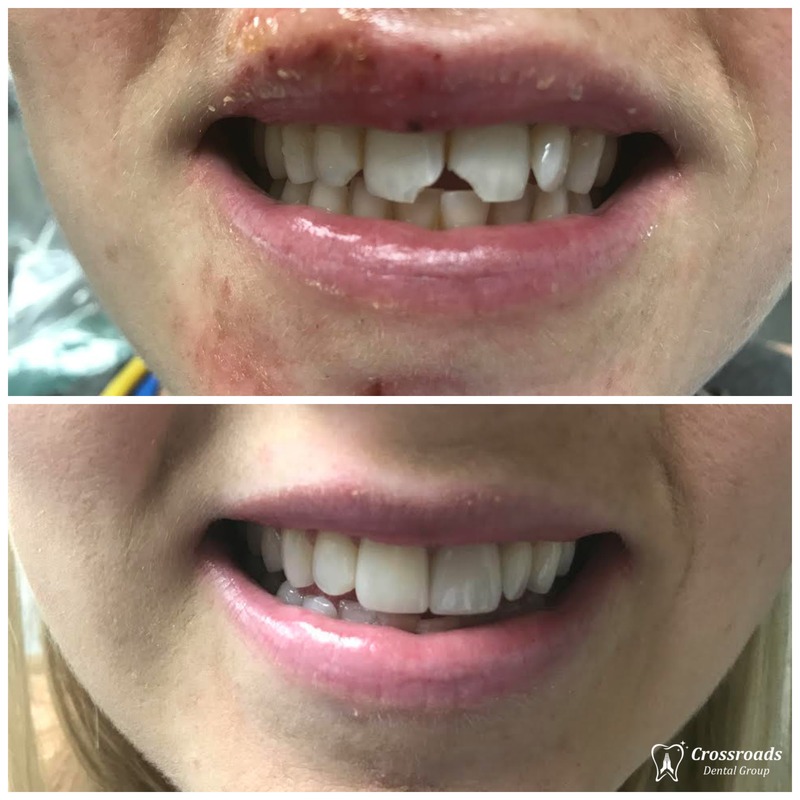 While we use veneers as a common cosmetic dentistry procedure, veneers can also serve a restorative purpose as well by preserving the exterior of a damaged tooth. 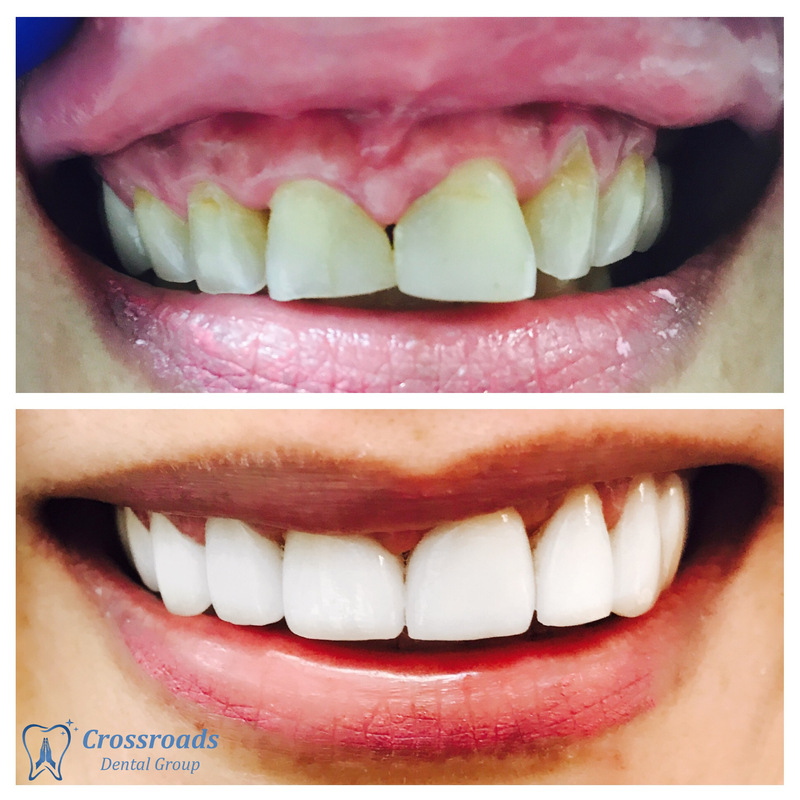 Frequently dental veneers can eliminate the necessity for more invasive tooth preparation, such as the need for a dental crown. 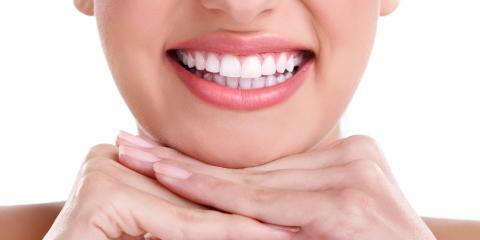 The thin characteristics of veneers require minor to no tooth reshaping in order to bond them to the tooth. A porcelain veneer is a thin shell that is bonded to the front of your natural teeth. There is little preparation required to the natural teeth. First, a model of your teeth is created. 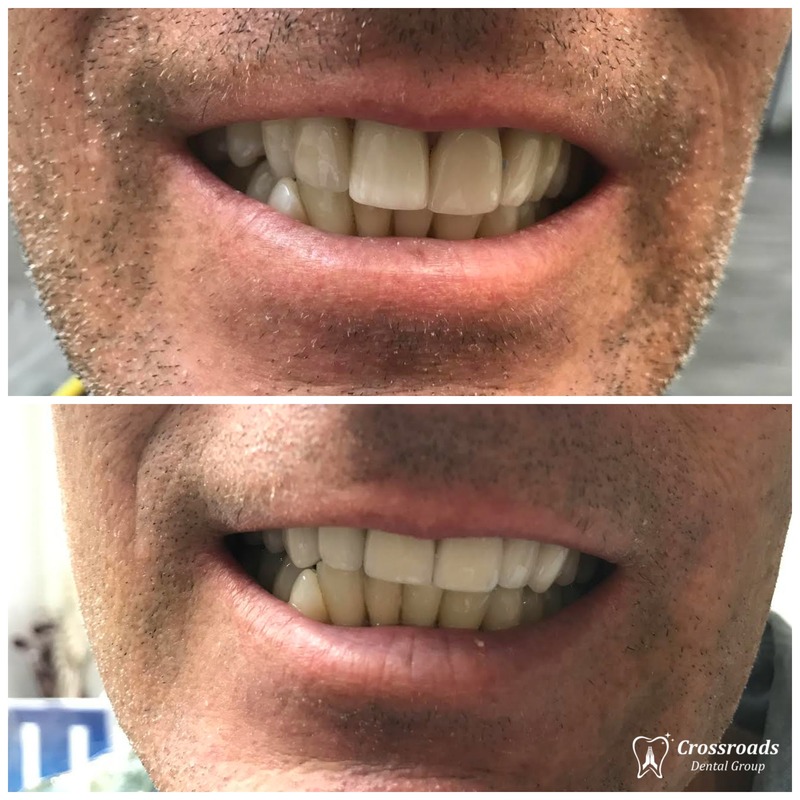 Then we remove a small amount of your tooth’s natural enamel, so the veneers fit properly and achieve a natural look without altering your bite. Typically, only two office visits are needed. 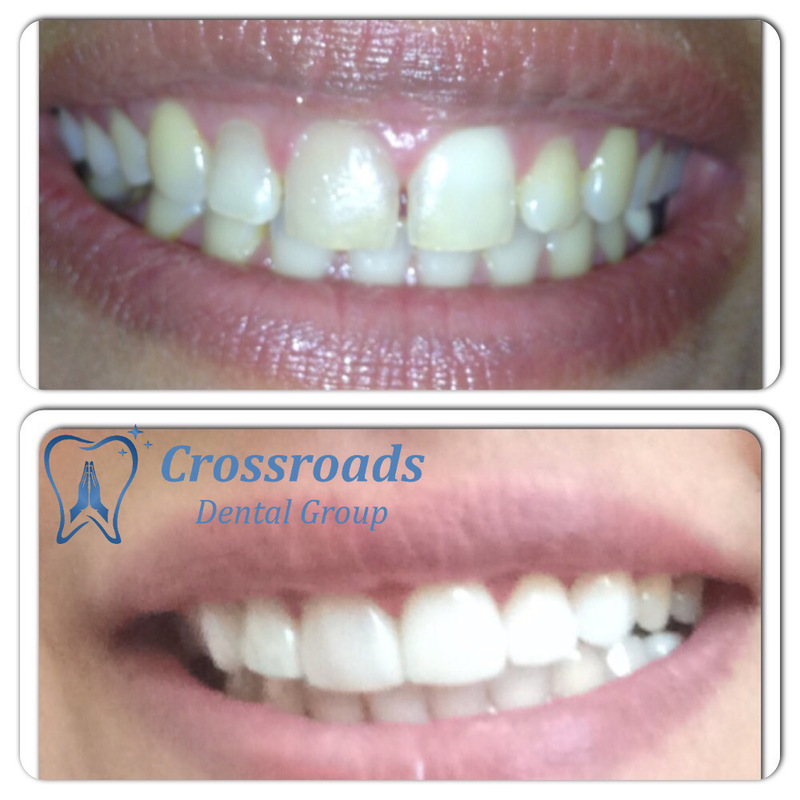 VENEERS ARE AN IDEAL SOLUTION TO COSMETICALLY ENHANCE A SMILE WHILE STILL MAINTAINING HEALTHY TOOTH STRUCTURE. Veneers are made of thin porcelain or composite resin material which are bonded to your natural teeth to brighten and enhance your smile. 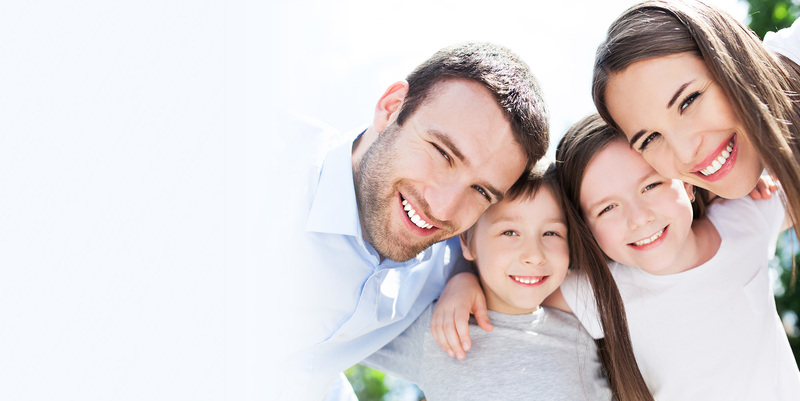 There is very minimum preparation necessary to the natural tooth/teeth. Usually only requiring as little as two visits to our office. They can be used to straighten slightly crooked teeth or to change the size of a tooth or teeth and also the color. They will last for many years. 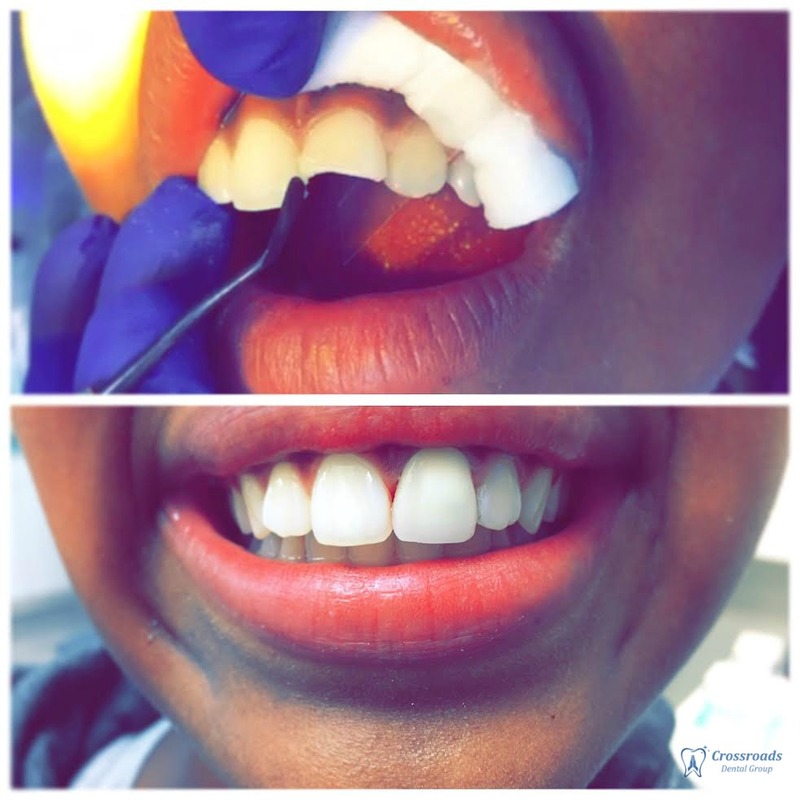 We individually sculpt veneers for each patient, it is nearly impossible to tell the difference between a custom veneer and a natural tooth. Veneers also offer increased resistance to coffee, tea stains, and cigarette smoke because they are made of high-quality materials. 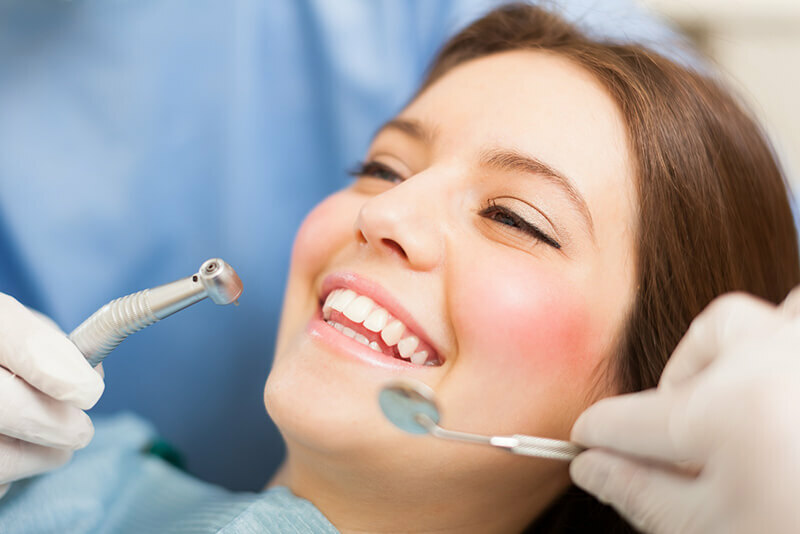 With veneers, your natural teeth stay largely intact as opposed to crowns where we need to remove a large portion of the tooth. 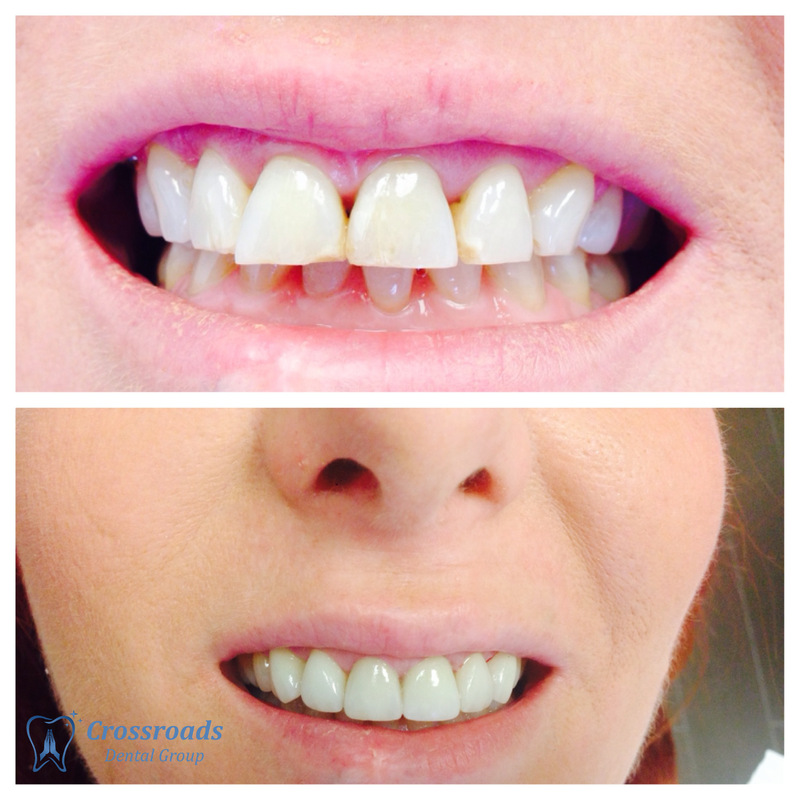 Porcelain veneers are the most versatile and the strongest veneer restoration available. These can be used to correct any alignment or discoloration. They will not stain or change color. They can mimic the translucency of natural enamel. 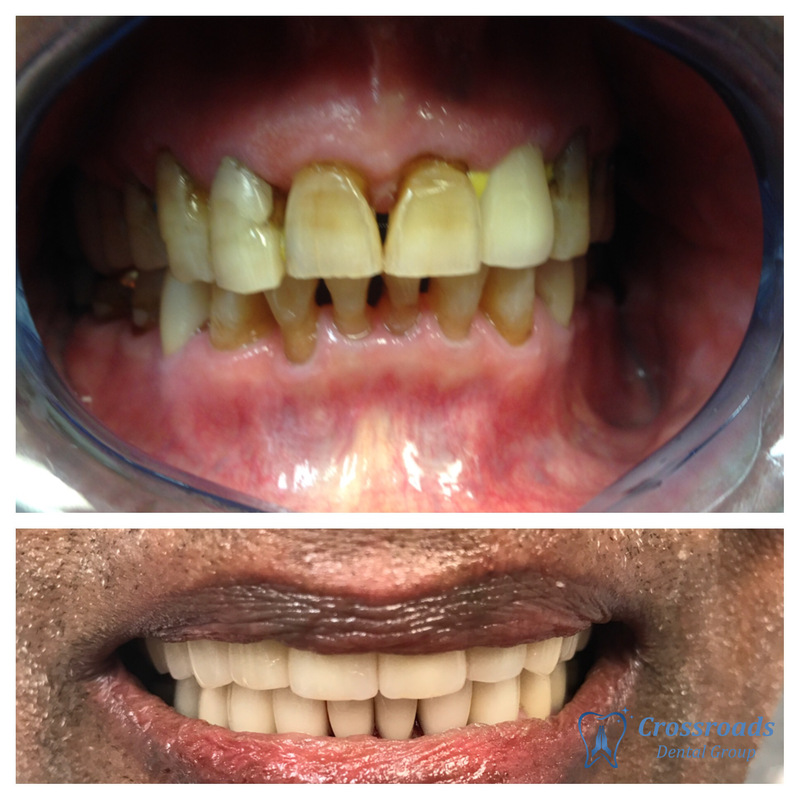 A smile restoration with porcelain veneer can be accomplished in only two visits.